No matter where you turn, everyone is talking about all the amazing duct tape projects that can be made with ease. Wondering if you have the skills to get in on the creative game? Absolutely! 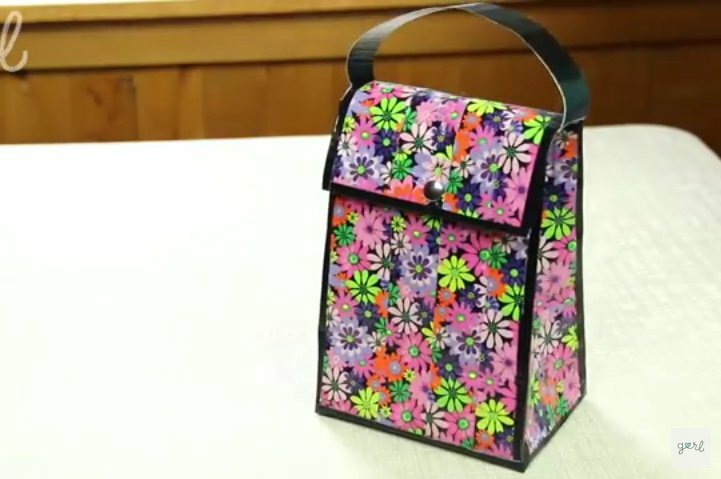 Creating with duct tape isn’t hard at all and you can actually make some really cool and unique projects that are quite useful to have. Duct tape has really come a long way since back in my day as there are now duct tape options of all different colors and designs to choose from. The next time that you hit the supermarket, check out the varying options for duct tape! Who knows? 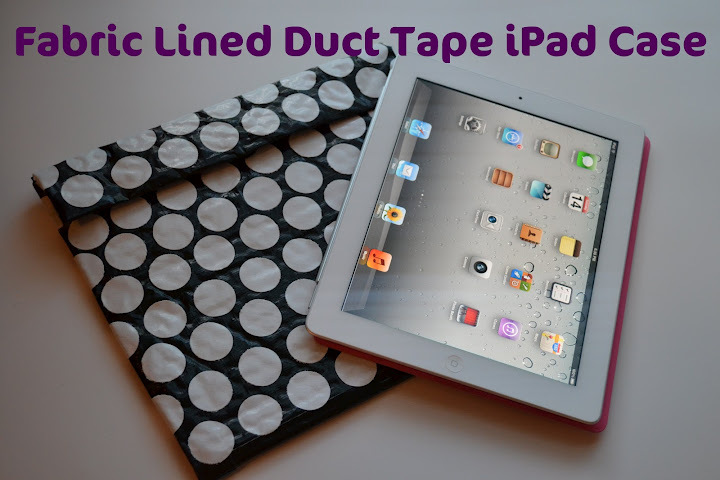 You may find some inspiration to make your very own duct tape project as well! 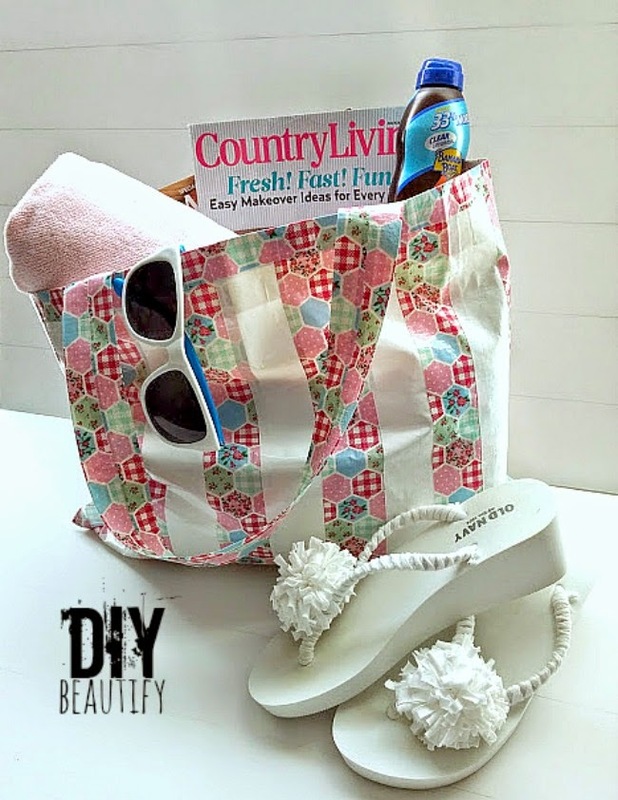 Just in case you need a little bit of inspiration, here are some super simple DIY projects that can help get you started! No-sew projects are the best kind, aren’t they? 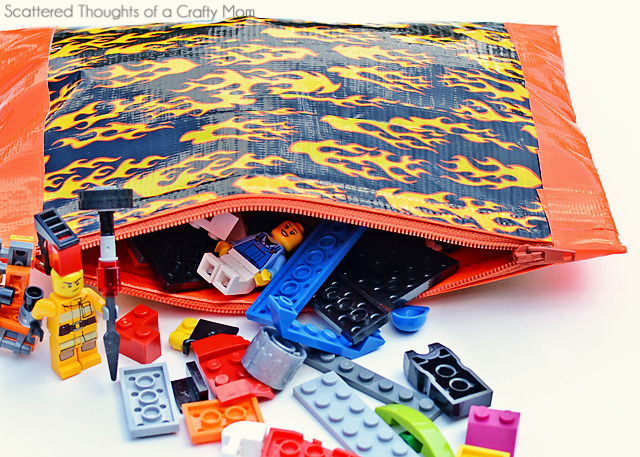 This no-sew zippered pouch is perfect for art supplies, Legos, makeup and loads of other stuff. Make them as gifts! 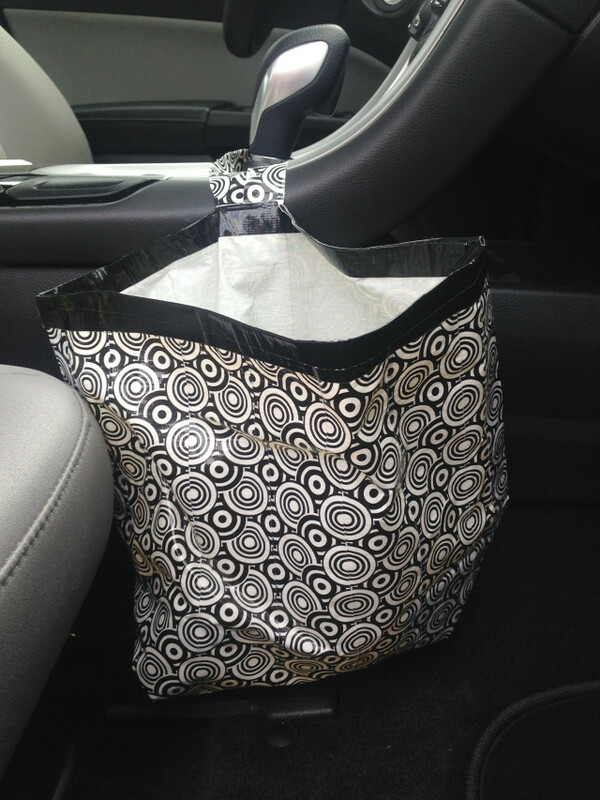 Keeping the car clean just got a little easier with this duct tape car garbage bag. It’s much more stylish than my version, which is a plastic bag hanging from the dash. How many baggies do you send to school each week in the kid’s lunches? Cut way down on waste by making reusable sandwich bags instead. 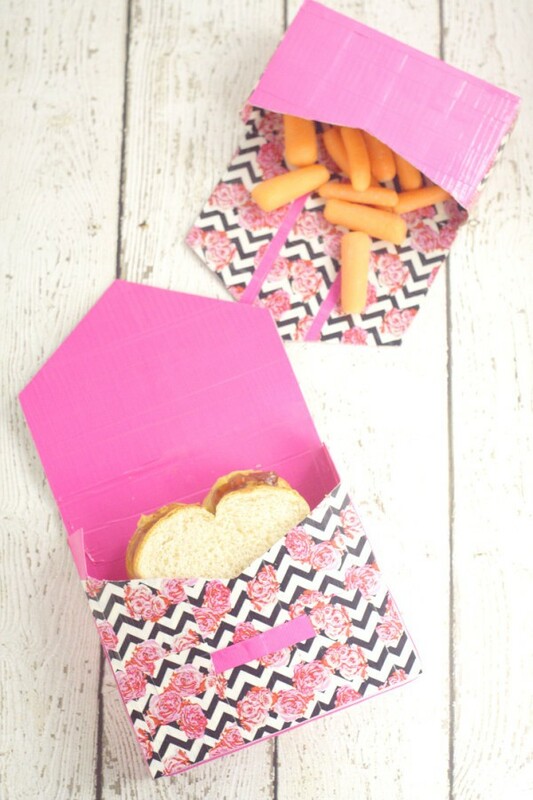 In fact, you can make an entire lunch bag out of duct tape. Make a new one whenever you feel like changing the design. Super simple and super fun! A duct tape wallet is an excellent choice for kids who may lose them frequently, but they’re cute enough to carry yourself, too. The added pop is color is great! Make an iPad case that’ll actually protect your device. This one is lined with fabric and has bubble wrap padding to protect your tablet in case of bumps. Functional and adorable! 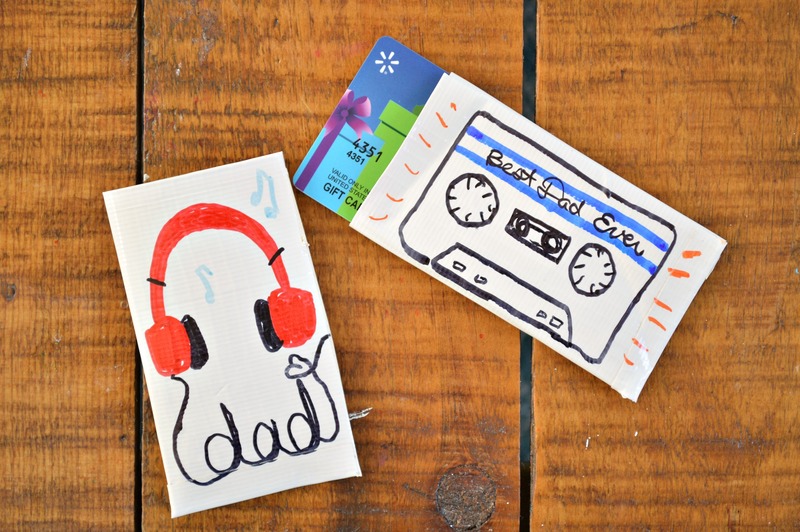 Create personalized gift card holders! 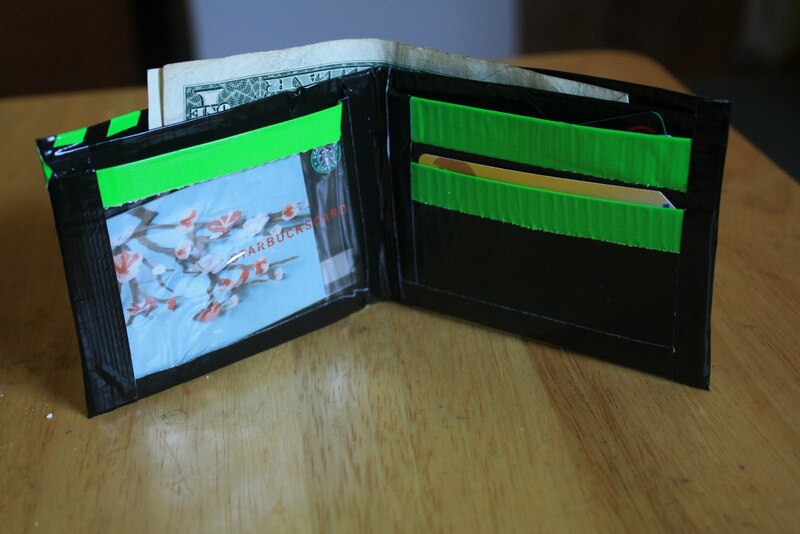 Buy duct tape in light, solid colors, and draw designs on the tape after you’ve finished making the cardholder. 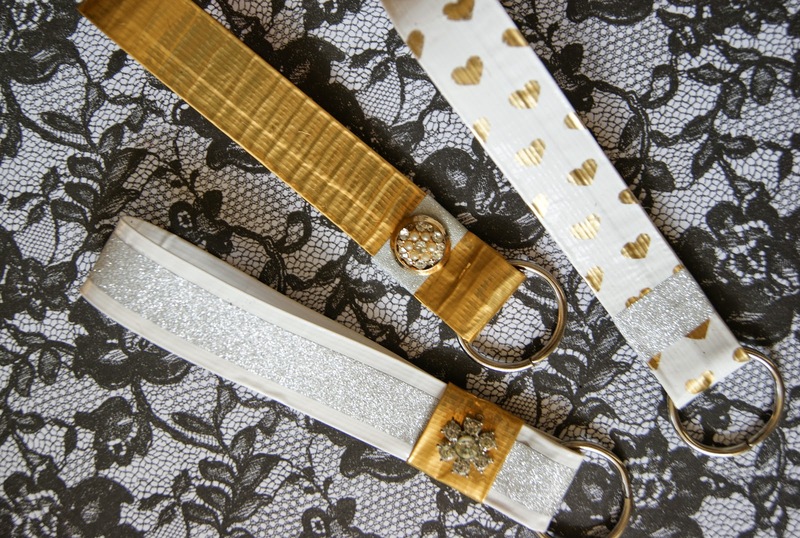 Whip up some quick and easy (and might I add, stylish) duct tape key chains to give as gifts. Aren’t these just too cute? 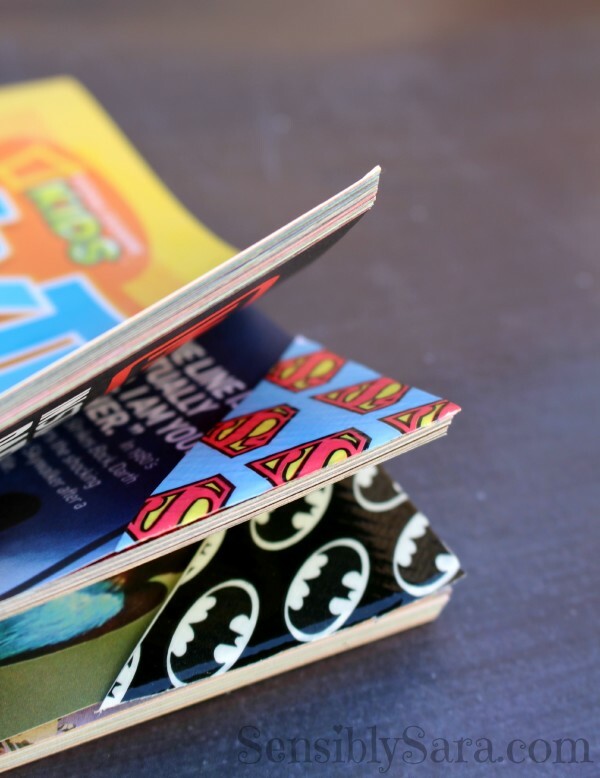 Mark your pages with these awesome duct tape bookmarks. Yes, I’m still a sucker for physical books and real bookmarks and you will be too after you whip up a few of these. I saw lots of cutesy bows and headbands for young girls, but nothing I’d actually wear myself… until now. 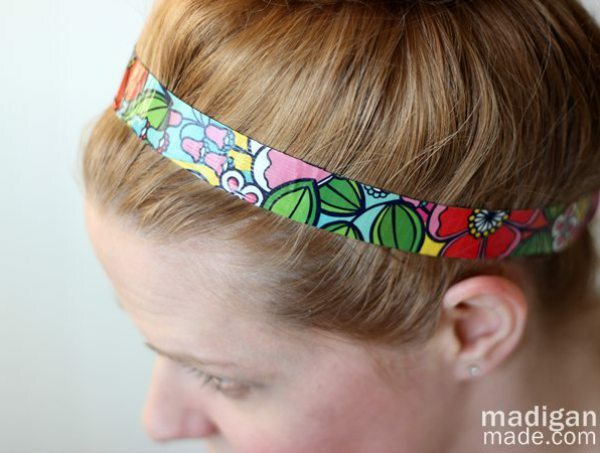 These simple duct tape headbands are really flattering. They’re great for dressing up a bun! And with all the color choices, you can make one for every outfit! 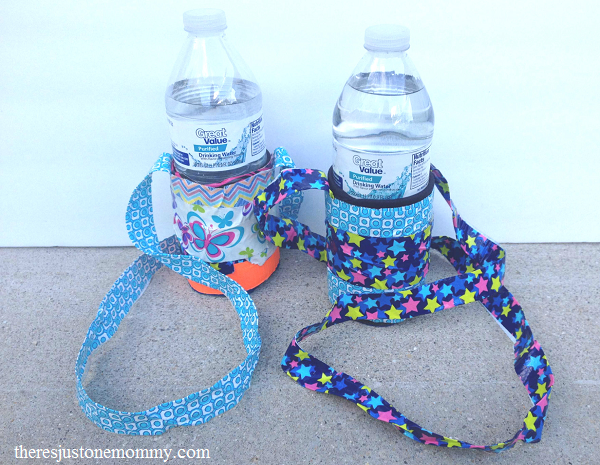 These water bottle holders would come in handy during a hike or a hot day outside. It’s such a pain carrying water in your hands the whole time! They’re wonderful for kids sports too. 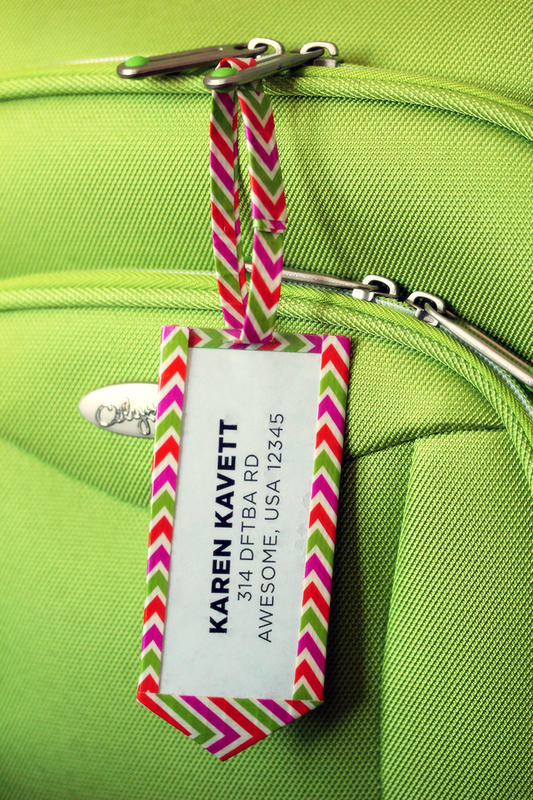 Make a handy dandy luggage tag before your next trip. It’ll be easy to spot your bags with the big pop of color! You’ll never have to worry about your luggage getting mixed up again. 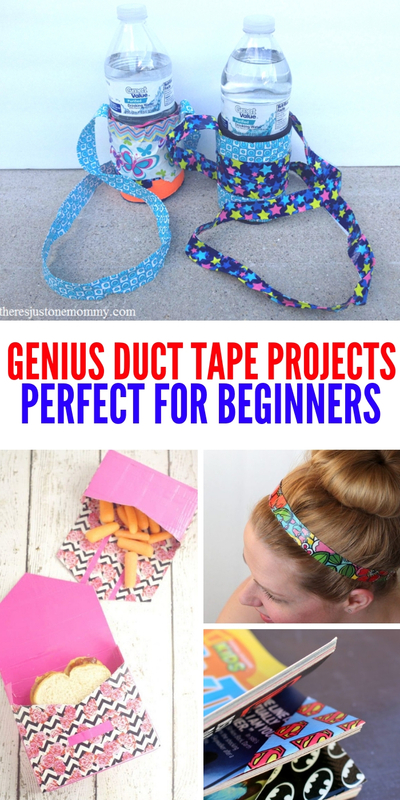 With these simple and adorable duct tape projects, you can have hours and hours of crafting fun making them all! What projects would you like to make using duct tape?